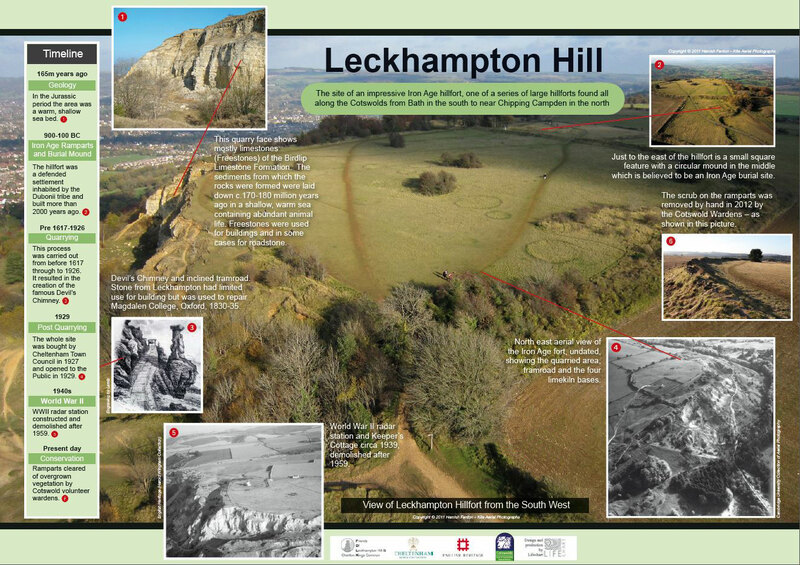 The whole of the Leckhampton Hill and Charlton Kings Common area is of considerable interest as an ancient historic landscape, containing a number of important constituents of the historic environment, including a round barrow and a hillfort. The whole area has been shaped and altered by humans over thousands of years, to suit their particular needs. 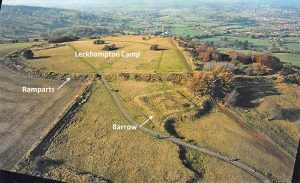 It was a burial place and settlement site in pre-history, a sheep run in the medieval period, quarried for the natural resources in the 18th and 19th centuries and, in the middle of the 20th century, was a site for the defence of Britain. The key historic features are indicated on the map below. They are also shown on the aerial photo below. 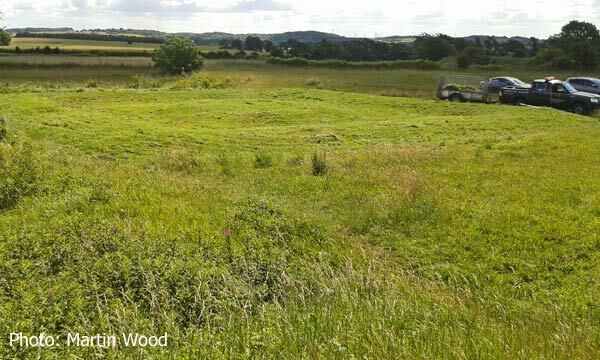 This site is part of Scheduled Ancient Monument and survives as an extremely rare round barrow, a burial mound, within a square enclosure, believed to date from the Iron Age 800BC – 43AD. 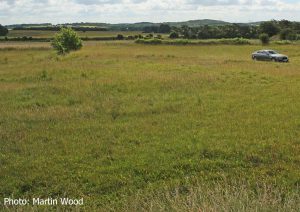 The barrow is not always obvious to people walking by, especially when the grass is long. 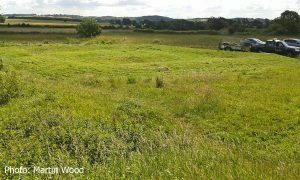 However, following the annual summer grass cutting around the barrow by FOLK it becomes much more noticeable, particularly if you stand on the ramparts by the Trig Point, as shown by the photos below. This site is also a Scheduled Ancient Monument. Leckhampton Camp is a univallate hillfort (a term for an earthwork of fortification with just one rampart) believed to date from the Iron Age c800BC-AD43. 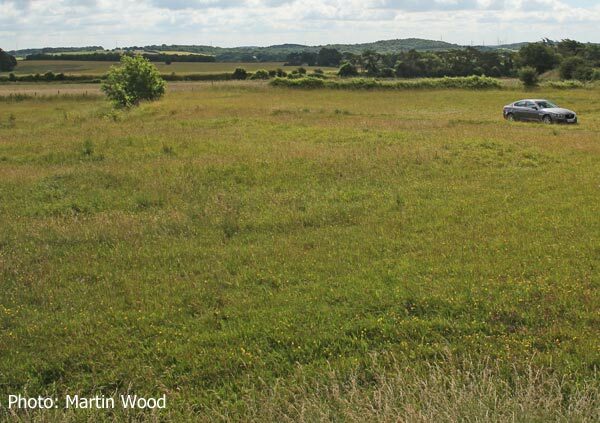 There are surviving ramparts to the south and east sides and a large ditched feature to the north. 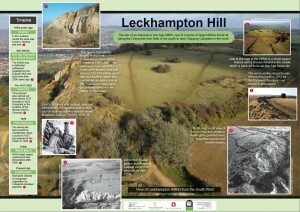 The following description is taken from the booklet “Leckhampton Through The Ages” by Eve Andrew and Eric Brewin. 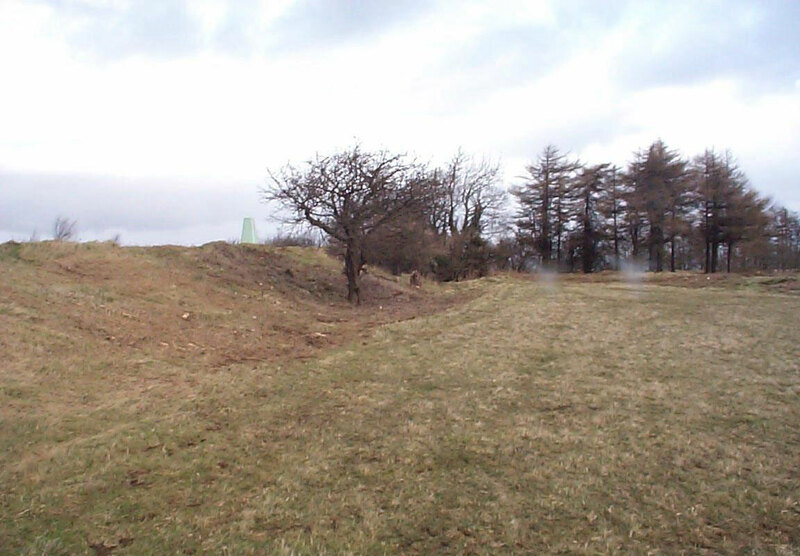 The ramparts, being taller, are much more obvious than the barrow and are noticeable at all times although passers-by may not realise what they are passing. 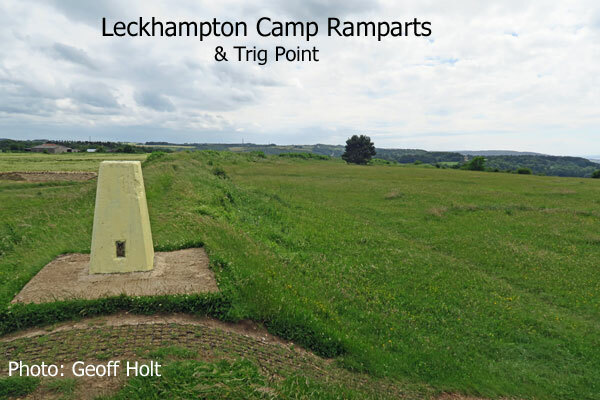 A more modern-day point of reference is the Trig Point which sits on top of the east rampart. 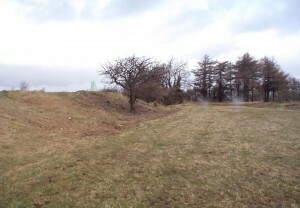 An article on the hill fort can be found on page 2 of FOLK Newsletter Issue 31 Winter 2008. 165 million years ago: In the Jurassic period the area was a warm, shallow sea bed. 900 to 100 BC: The hillfort, consisting of Iron Age Ramparts and a Burial Mound, was a defended settlement inhabited by the Dubonii tribe. Pre 1617 to 1926: Quarrying was carried out from before 1617 through to 1926. It resulted in the creation of the famous Devil’s Chimney. 1927 to 1929: The whole site was bought by Cheltenham Town Council in 1927 and opened to the Public in 1929. Present Day: Conservation work is done on the Hill by volunteers such as FOLK and the Cotswold Wardens.